Hall of the Mountain King: Review: Accept, "Stalingrad"
Accept’s 2010 album Blood of the Nations, one of my favorite records of that year, served as sort of an introduction to the new incarnation of the band and featured some departures from what I expected going in. Stalingrad, on the other hand, takes a small step back toward the band’s history with a sound that’s more along the lines of their classic material. 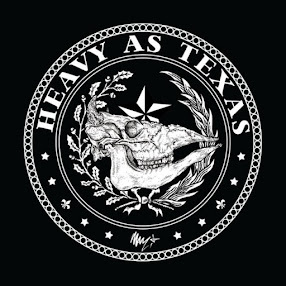 Album opener “Hung, Drawn and Quartered” announces the intention quickly with aggressive riffing, a big gang vocal chorus and singer Mark Tornillo delivering some of the lines in a more Udo-esque snarl. It’s a great way to start the record, but the energy doesn’t hang around the way it did on Blood of the Nations. I’m not sure if the band felt fans wanted more of the old sound on this one or what, but the regression is, at times, a little disappointing, especially given how awesome the last record was. The title track runs more along the lines of Blood of the Nations, with some interesting harmonies, a catchy chorus and more of an epic feel overall. You can tell that the band was trying to do something special with this song, and they achieved it. That’s where things start to taper off a little for me, though. “Hellfire” is a great traditional metal song, no doubt. There’s a really good Wolf Hoffmann riff and Tornillo delivering some solid snarls and shrieks, but it comes off a little flat and recycled to my ears. The same could be said of “Against the World.” And that’s the problem with much of the record for me. Outside of a couple of duds, the songs here are all solid representations of what Accept’s classic sound is about, but I find myself wanting a little more. There are some really strong songs scattered around the album. The dark and melodic “Shadow Soldiers” is a favorite. No, it doesn’t go out on a limb away from the Accept sound, but I really dig the leads from Hoffmann and Herman Frank and it’s one of those songs that illustrates Tornillo’s talent. This definitely wouldn’t have been the same song with Udo. Along the same lines, the blues-flecked groove of the beginning of “Twist of Fate” delivers a little bit of a, pardon the pun, twist, and I really like the energetic riff of the chorus and how it plays off the rest of the song. I’ll readily admit that my slight disappointment in this record probably comes more from unrealistic expectations on my part than from any failing on the part of the band. 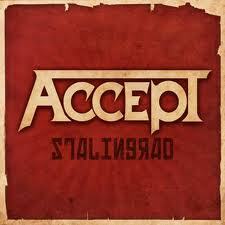 The truth is Stalingrad is a really good Accept record and a satisfying serving of traditional metal. It’s just that Blood of the Nations had such an impact on me, an admittedly casual Accept fan, and Stalingrad doesn’t deliver that same kind of gut-punch. Those records don’t come along every time though, and that’s probably just me whining. The album rocks, and fans of the band’s classic records should definitely enjoy Stalingrad.